Contrave, the weight-loss medication which consists of bupropion and naltrexone was endorsed by Food and Drugs Administration (FDA) advisory committee. Votes were 13-7 that weight loss benefits outweigh the blood pressure risk of Contrave. FDA reviewed three weight loss medications this year and combination of naltrexone and bupropion is one of them. More about those drugs you can read here. Another two medications were Qnexa and Lorqees, but both of them were rejected by FDA. It was a big surprise that the last meeting ended different way for Contrave. Unlike rejected drugs, Contrave is not as efficient at weight-loss but has fewer side-effects. The approval decision will be made before January 31 but the agency is not required to follow the advice of FDA advisory committee, but in most cases, it follows. The company that makes bupropion and naltrexone containing medication are looking for approval for use of their medication for patients with BMI of 30 and above treatment. Contrave combines two ingredients: an anti-addiction substance and antidepressant. Individually they were used for almost 20 years, but now it’s a little known about the combination of the medications for patients with obesity treatment. In all the trials, those patients who used naltrexone/bupropion lost 5% more of their body weight than the group who was taking a placebo. That’s exactly the standard of FDA to measure the efficacy of weight-loss. However, a patient who was on Contrave lost only 4.2% of their body weight compared to the placebo group. 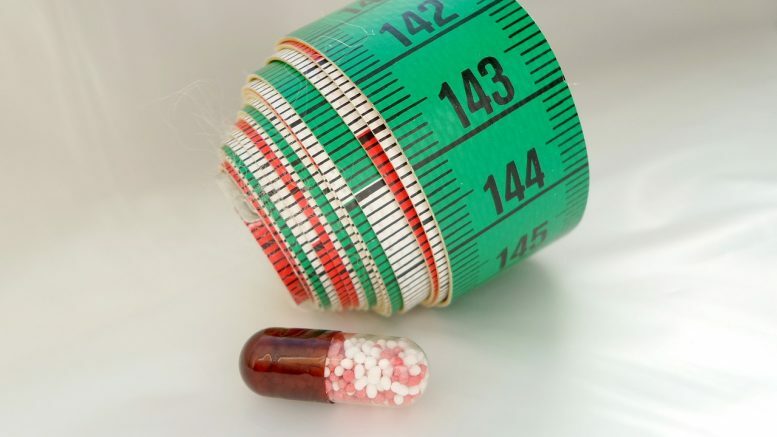 In a pooled analysis, naltrexone/bupropion patients lost an average of 4.2 percent more weight than the placebo group (ranging from 3.3 percent to 4.8 percent). That falls short of the other FDA standard that after one year, the difference in mean weight loss between the active and control groups should be at least 5 percent. Also, reviews showed some concerns over side effect of Contrave: nausea, seizures, dizziness and high blood pressure. The high blood pressure is the only effect which was a “key” concern of the FDA committee. Dr.Lamont Weide, chief of diabetes and endocrinology at Truman Medical Centers Diabetes Center in Kansas City, said that high blood pressure was his biggest concern but they were blunting all the positive effects that they should see. Because of the lack of the data on the cardiovascular risks of the medication, the FDA group agreed that company should submit new data after approval to make sure, that Contrave doesn’t lead to major heart issues. Dr. Michael Rogawski, who was the panel’s one neurologist, doesn’t agree with such a decision and thinks, that the seizure risk is higher than considered, so it was downplayed. Only two patients in trials had seizures after taking bupropion and naltrexone combination, but there wasn’t a single patient in the placebo group who had same issues. In conclusion, the panelist said, that one patient of 1,000 should expect to have a seizure. Maybe the amount is small, but Rogawski pointed out catastrophic consequences of having seizures, so it should not be underestimated. Because of increased risk of stroke, sibutramine was removed from the U.S. market and only one anti-obesity drug on the market called Orlistat. A lot of physicians and other health care providers were pleased by such decision of FDA panel and told, that there’s a shortage of medications to help patients with obesity, so a new medication will be welcome on the pharmaceutical market. For example, Connie Diekman, dietitian, director of University Nutrition at Washington University in Saint Louis, said that it was nice to have another medication for those people who worked hard but their weight-loss process stayed slow. “This is one more option to battle the obesity issue,” he added. Dr. Robert F. Kushner, professor of Medicine at Northwestern University Feinberg School of Medicine is the same opinion with Diekman. “Finally!” he said, and added, that he endorsed the FDA panel decision. But he thinks, that medication itself is not enough and physicians should be educated on how to best prescribe it and identify patients who will take it along with changes in lifestyle and some behavioral recommendations from the physician. “I don’t doubt for a minute that the medication will be successful, but only time will show if it’s a good medication or not.” said Paul L. Doering, a pharmacy professor at the University of Florida, and added that he was going to let someone else be the first to take it. Be the first to comment on "Positive Feedback About Contrave From FDA"